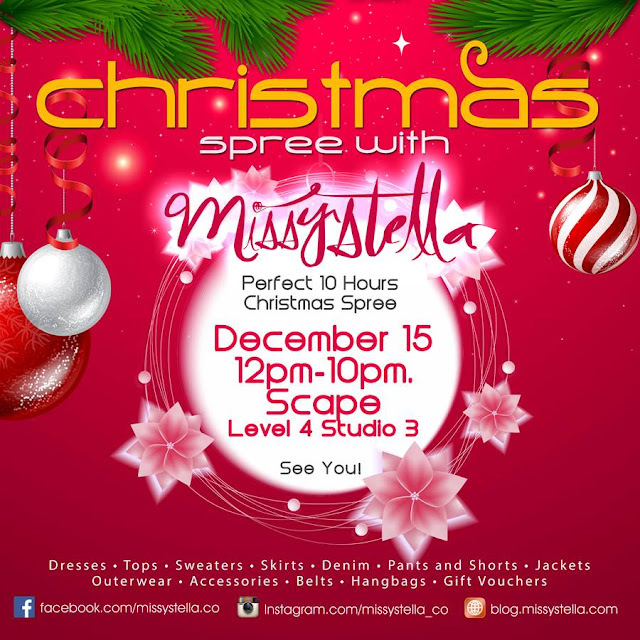 MISSY STELLA + $50 VOUCHER GIVEAWAY! - . MISSY STELLA + $50 VOUCHER GIVEAWAY! I will be giving away 1x $50 voucher to one lucky reader of mine! Steps to win $50 voucher simply "LIKE" MissyStella on Facebook and comment "I LOVE MISSYSTELLA" here. I will choose one lucky winner on the 13th Dec, Friday, 8pm. To winner, I will personally email you on how to redeem the voucher.